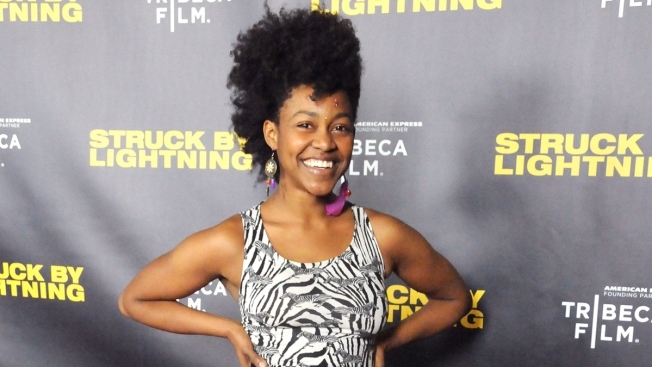 Actress Daniele Watts attends the 'Struck By Lightning' premiere at Mann Chinese 6 on January 6, 2013 in Los Angeles, California. An actress who was detained by Los Angeles police is refusing to apologize for claiming race played a role in the incident, despite calls from local civil rights leaders. Daniele Watts issued a statement late Friday through her publicist after civil rights activists demanded that she apologize for suggesting she was handcuffed for kissing her white boyfriend in public. Watts and boyfriend Brian Lucas were questioned last week by officers investigating a report of lewd conduct in a parked car. Watts, who is black, refused to provide identification. She was briefly handcuffed until police identified her. The incident went viral after she and Lucas claimed on their Facebook pages that the detention reflected racial profiling. Earl Ofari Hutchinson, who initially rallied behind the actress, said she "cried wolf" in this instance. "I was one that was very outspoken about it," he told reporters. "We take racial profiling very seriously. It's not a play thing. It's not trivial." Watts made no mention of race in her statement, but she maintained that she wasn't obligated to present identification to police. "It is a constitutional right that we do not have to present ID to any member of law enforcement unless we are being charged with a crime," she said. A Los Angeles Police spokeswoman said Friday the department had no response to Watts' statement. Watts' publicist, Bill McCoy, said she is not planning to take further action.